Rouge Color Lock Anti-Fade Mask is a photo-protective mask that intensely nourishes and protects the hair fibre, enhancing colour tone and intensity for visibly more radiant colour. 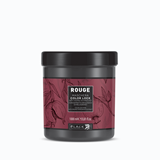 Thanks to the Organic Pomegranate Extract in its formula, it leaves hair soft, silky and manageable. 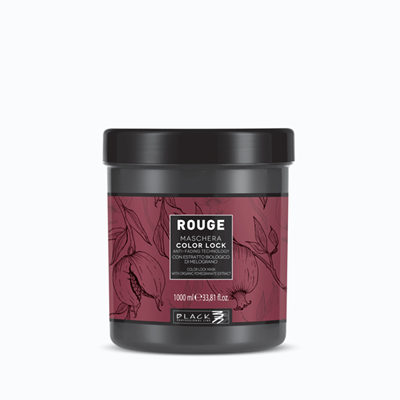 Coloured hair is bursting with iridescent tones and radiates unprecedented long-lasting shine. This post-colour mask envelopes the hair in a gentle scent that lasts all day long. 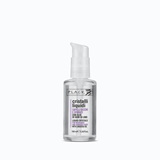 Black Fluid crystals (Transparent) 100 ml. The Black liquid crystals with linseed contain a high percentage of oil with an emollient action against atmospheric agents and repeated treatments such as dyeing, perms or decoloring. 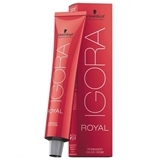 Schwarzkopf Igora Royal HAIR COLOR 60 ml. IGORA offers outstanding performance for true color partnership with premium quality products, delivering 100% performance – even in the most challenging situations. The IGORA Color Worlds are named by color direction and offer a selection of shades from natural to fashion and high-lifts. All IGORA products use the same numbering system allowing for both ease of integration in the Salon and complimentary usage across the different brands.